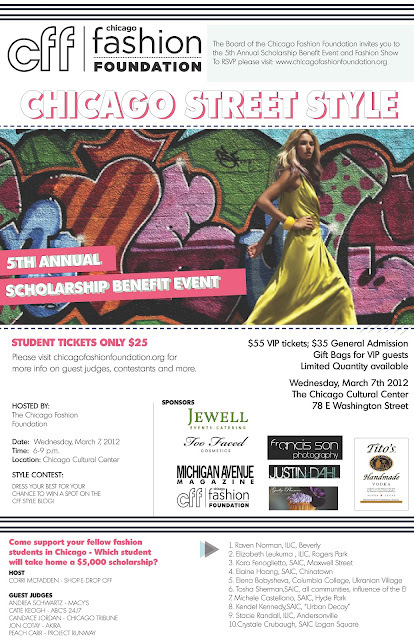 The Chicago Fashion Foundation is one of our favorite organizations. It has a great mission and does wonders in the City--focusing on fashion, scholarship, education, and networking. Check out their event this Wednesday!